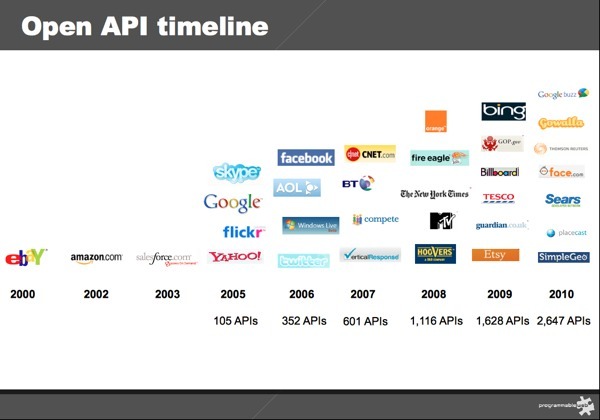 Which APIs matter to you? Mobile, social, and local apps are the new black. You’ve heard these megatrends shouted from the mountaintop. If you want to work on Stuff That Matters, pay attention to what’s going on in the MoSoLo spaces, and their intersections. So let’s suppose you drink the tropical fruit punch flavored sugary beverage and want to dive in, then what? APIs, my friend. You need to learn about the various API options available to you as you build your MoSoLo apps and services. More specifically, mobile + cloud + communications APIs (mobility), social networking APIs, and location and mapping APIs. The good news: There are lots of choices available to you. The bad news: There are lots of choices available to you!